For some time, blog owners would note mysterious problems with photos on their blogs, in various ways - depending upon the browser in use. Recently, photos hosted under Picasa changed that vague symptom, by displaying two "place holder" icons, depending upon either of two commonly diagnosed problems which had caused the missing photos. Photos hosted under Picasa, and subsequently being either deleted or made private, are now being replaced by either of two diagnostic icons when referenced. This improvement will go a long way to resolving much confusion about missing photos (including photos uploaded to the blog using the "Insert image" wizard in post editor), which has long been a source of despair in the Blogger community. 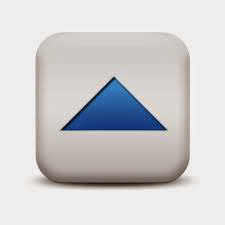 If your photo has been deleted, you will see this icon - an exclamation point inside a triangle. If your photo is now private, you will see this icon - a dash inside a circle. These icons are simply the new symptoms of a problem - they are not the problem itself. If you just made your Picasa photo album private, maybe when setting up your Google+ account, you can correct the problem easily enough. Just login to Google, use Picasa, and make the photos public, again. If you just deleted the photo album, when setting up your Google+ account - or maybe trying to save storage space on your camera / phone, you may be able to recover the deleted photos. If you just deleted the Picasa photo album, by having deleted the Google account, however, you are out of luck. Picasa does not provide any un deletion options. If these are not your photos, and you are linking them from somebody else's Picasa album, you are likewise out of luck. However, at least you can now detect - and diagnose - the problem, when your photos are hosted by Picasa. Thanks for the information. This is exactly what I'm seeing, although I don't usually post my pictures through Picassa. I usually do it right through my computer. So, are my photos completely gone? or will I every be able to get them back? Also, should I start posting from picassa to avoid this problem again? Sorry! I'm just confused as to why this happened. The only thing I can think of is I recently updated to Chrome. I neither deleted or made private my photo. I did nothing to it. Nothing was different in any way but one day it just ended up missing. Thank you for this post! I couldn't figure out what was going on and somehow my pics were set to private. OMG. I've uploaded my photo many times but the exclamation mark continues to show up on profile photo when ever I join other blogs or whenever i post comments. All My photos are public in picassa.!!! urgh. Someone please help. This just happened to me. I got those missing photo icons wiht a circle & minus sign). I found out the cause. Basically, I was cleaning up my harddrive where all my photos reside in hard copy (I properly use the blogger image upload tool for all my pics) and I moved all the photo folders into a new folder...and thus, blogger could not locate them. I'm puzzled by this because when I "upload" a photo to my blog, I thought I was making a copy for use on blogger. I had no idea it was still referring back to the original pathway from which I uploaded. Note to self: do not rearrange your folders with blog images.